Interior design featuring a Persian rug is a timeless way of decorating. For centuries, they have been used both as room accents as well as features. Best of all, they are easy to incorporate. Here are some ideas to have in mind if you want to do this in your home. Take your time and look around to find the colors and styles that you like best. This can also help you to figure out what falls within a realistic budget in terms of quality, style and size. 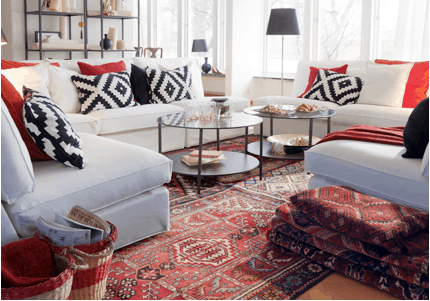 If you’re redesigning an entire room including walls and furniture, start out by picking the rug that you really love. One of the helpful things about interior design with a Persian rug is that they already have so many colors in them. It’s easy to pick up different ones when it comes to painting, furniture and other room accents. Besides your personal preference in terms of color, you also want to take into account such considerations as lightness and darkness of the colors, and the effect they will have on the room overall. For example, light colors can make a room seem larger. Ones with geometric figures and straighter lines. Rugs that have amore contemporary look. 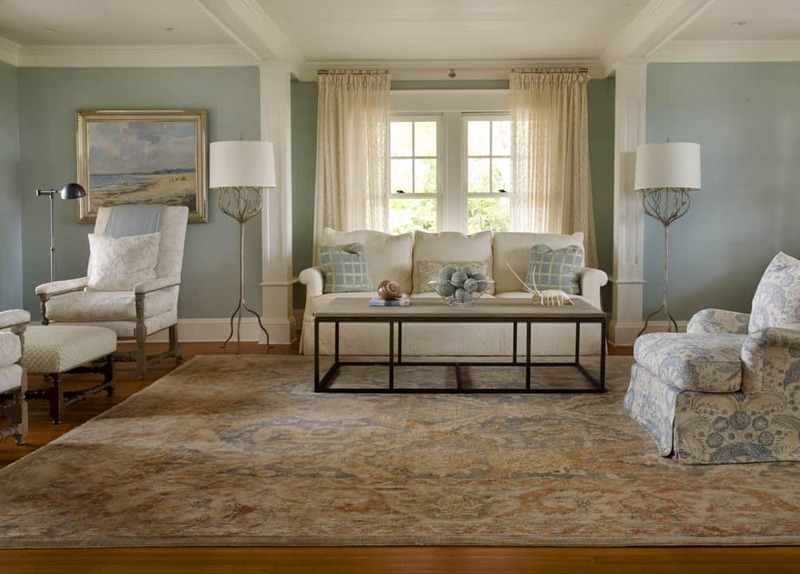 Take a look at the room you are designing for and think about how you plan to use the rug. Are you creating a large social space where the sitting pieces will go around the edge of the carpet? Or are you trying to break a really large room up and create a small sitting space within it? Interior design featuring a Persian rug is a technique that can be both classic as well as contemporary, depending on how you choose to do it.